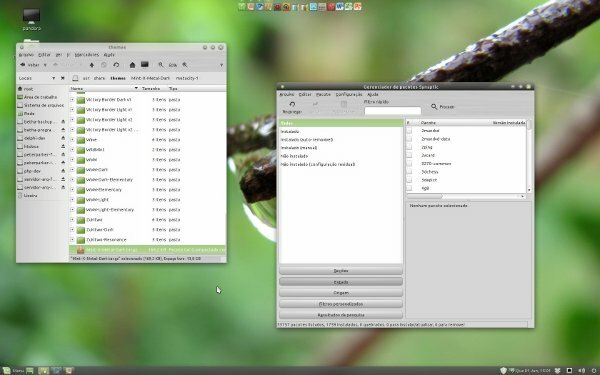 Ubuntu 11.10 is based on Gnome 3 – both Unity and Gnome Shell interface works on the top of Gnome3 in 11.10 (it was not the case in earlier version such as 11.04 – that’s why Unity and Gnome shell were not compatible, anyway it’s not a problem anymore). 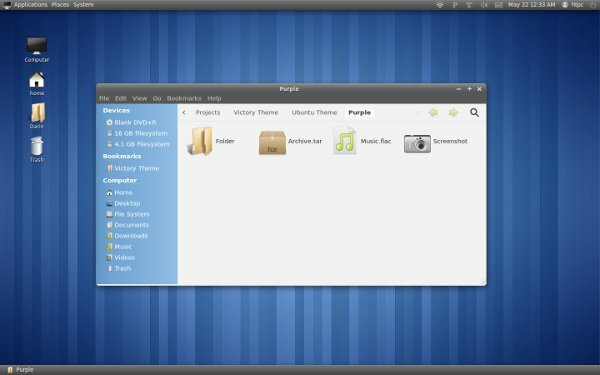 By default Ubuntu 11.10 comes with Unity but you can install gnome shell in Ubuntu 11.10 if you want (probably you were waiting for Gnome Shell or may be because you don’t like Unity). 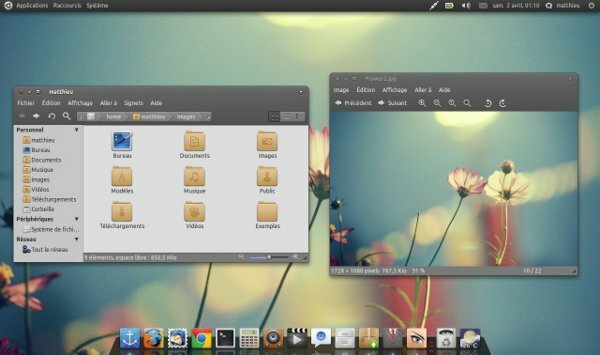 So this post is all about some cool GTK 3 themes and of course Gnome shell themes. 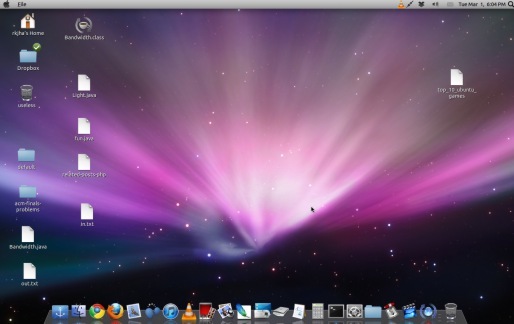 Ubuntu 10.04 was a LTS(Long Term Support) release, with Gnome 2 desktop. 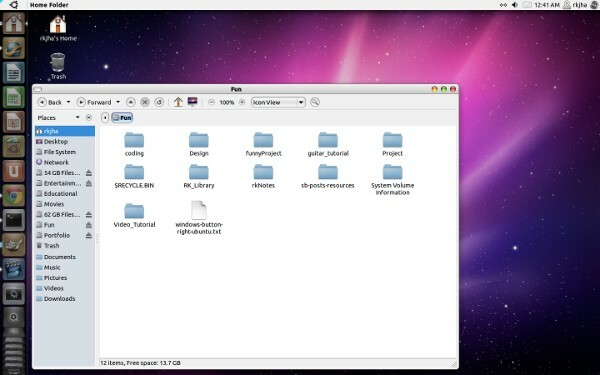 According to my experience, it was almost a perfect, cool and solid Linux desktop. 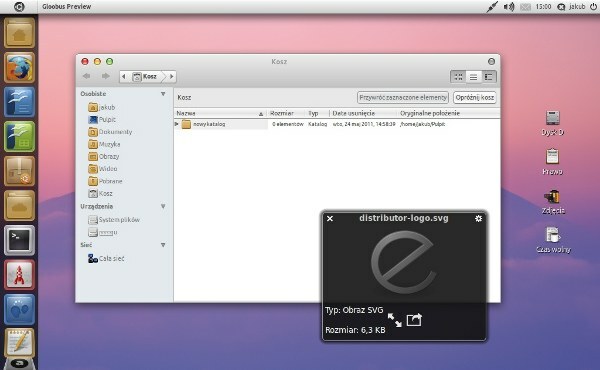 Currently, I’m using it along with the newer version of Ubuntu. 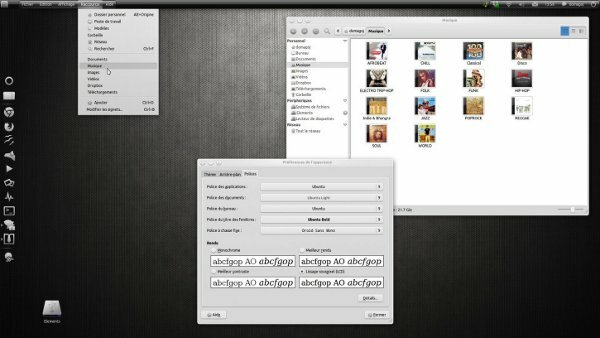 Macbuntu theme is the most popular theme, for 10.04 (as well as 10.10). 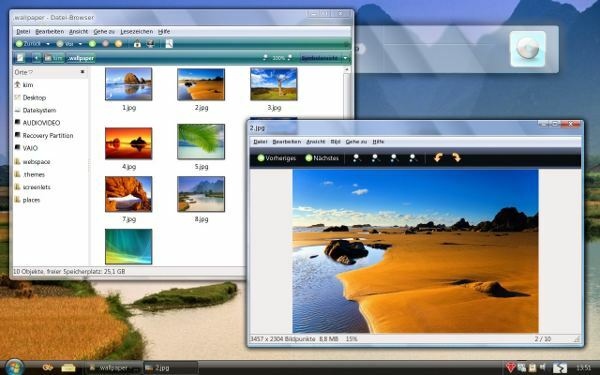 KDE is the third most popular desktop. 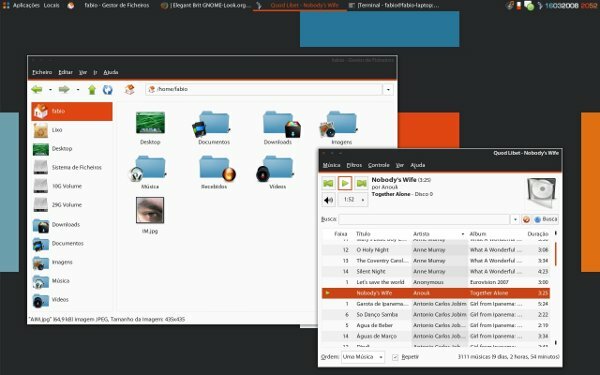 It has lot of users and developers working on it – so it is very easy to get new cool themes for your desktop. 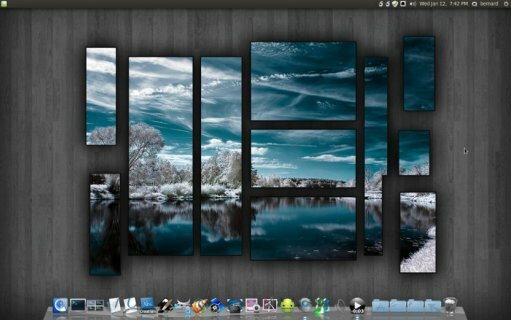 Mac OS X Themes for Ubuntu, to get the cool look of Mac on Ubuntu. 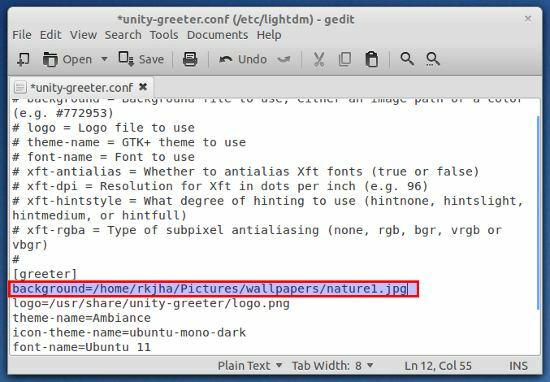 Ubuntu 11.04 (or code name : Natty Narwhal simply : Natty) or its previous version 10.10 (Maverick Meerkat) has shipped with a great collection of good looking themes but I can’t say that – those are the best. 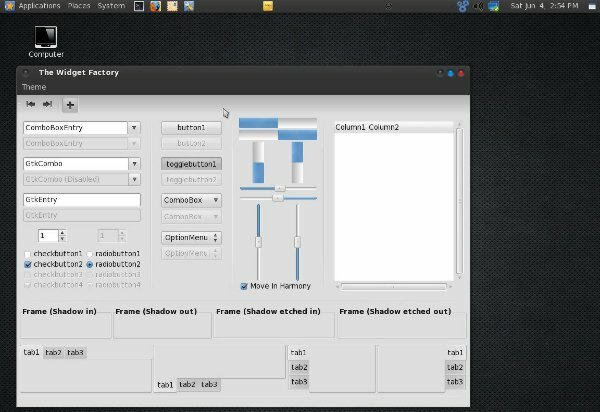 It depends on your choice and flavor; enjoy the flexibility of Ubuntu or other Linux Distribution; I mean you can customize the look and feel as you want – a lot of options are waiting there for you (right click on desktop select themes -> customize and begin!). 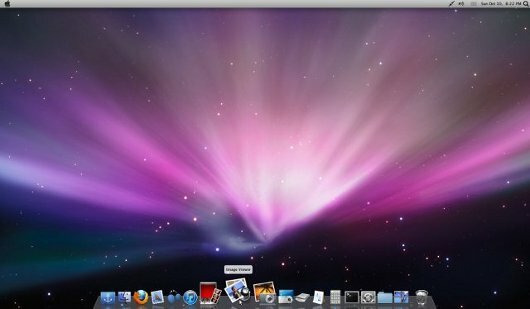 Ubuntu 10.04(Lucid Lynx)/10.10(Maverick Meerkat) has a lot of ‘good looking theme’ installed by default; so you can switch between them whenever you want.So this post will explain you about- how to change themes as well as about how to install new themes on Ubuntu. 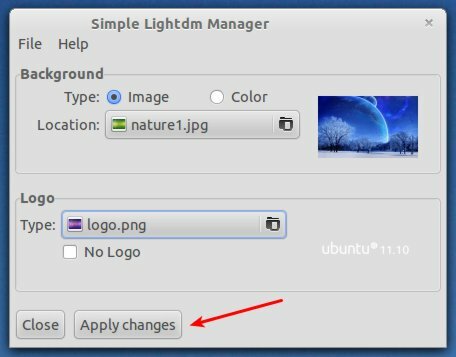 Radiance,Ambiance,Clearlooks etc are the themes which is installed by default.Ubuntu uses GNOME as a default desktop,which in turn implies that you can control the look/appearance of Ubuntu as you want,the only limit is your imagination(Kidding Huh!). 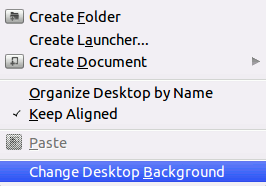 Go to System->Preferences->Appearance and click on theme tab.Another shortcut is – Right click on Desktop then select Change Desktop Background ->Theme.Now select the theme(by left clicking on it) you want to try from the list of available themes.You will notice the change immediately.When you are done just close the window.That’s All. 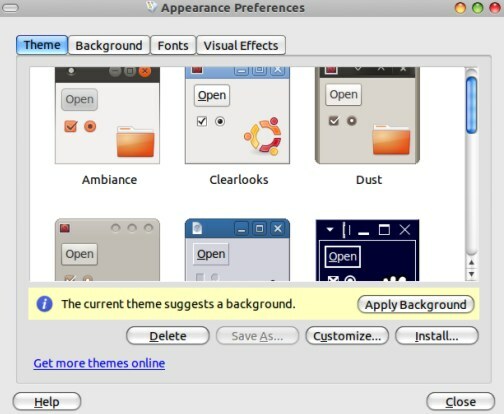 In appearance window,click on theme -> Install ; locate the theme package and install the new theme in a couple of clicks.You can install new themes by extracting the theme files into user->theme directory.Some times you may need to manually run the theme installer script(install.sh) from the theme file,to install the special themes.e.g macbuntu theme.For more help go here –Install mac theme on ubuntu.If you are searching for new cool themes for ubuntu then here is some selected top 10 ubuntu themes that you must try.